Clarification statement by Defense Ministry vows to 'fully cooperate' with US going forward. The Defense Ministry issued a clarification this evening (Monday), after its harsh attack on the US government on Friday apparently comparing the Iran nuclear deal to the 1938 Munich agreements. 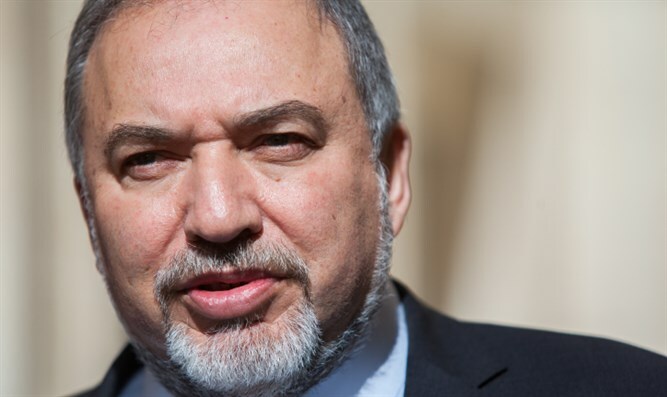 "In light of the mistaken meaning attributed by the media to the Defense Ministry statement on Friday, we wish to clarify: The state of Israel and the Israeli defense systems will continue to work closely with full cooperation with the US, in mutual respect and deep appreciation," opened the clarification statement. However, it continues, "Israel is deeply worried that even after the nuclear deal with Iran, the Iranian leadership continues to declare that its central mission is the destruction of the state of Israel, and threatens Israel's existence with words and deeds." The Ministry's statement further details a list of steps currently being taken by Iran which are in violation of the agreement, adding the qualifier that "even if Iran complies with the deal, its official and open policy of aiming for Israel's destruction negates its legitimacy in the international community. "Despite this, since the deal was signed a long list of financial and political leaders throughout the world have been doing business with Iran, while a significant proportion of the Billions of Dollars Iran is making goes to military arming and illegal ballistic missile development programs. "The differences between Israel and the US' positions on the matter doesn't in any way affect our deep appreciation for the US and the President of the US for their immense contribution to Israel's national security, or the great importance that we attribute to the strong alliance between the two countries. The statement from Friday was not meant to draw a direct parallel [between the Iran deal and the 1938 Munich deal], not historically or personally. We are sorry if it was interpreted differently," the Defense Ministry statement concluded.